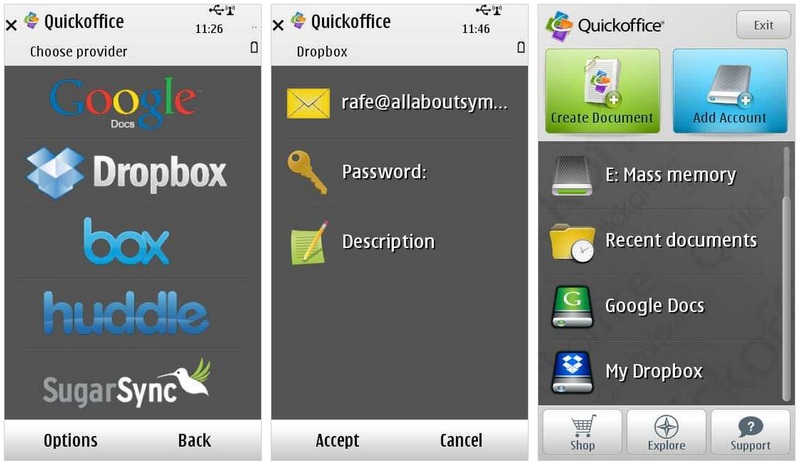 Rafe Blandford from AllAboutSymbian reports that Quickoffice version 7 now has remote cloud file access, aka, you can access documents via Google Docs, DropBox , Huddle and SugarSync. Rafe also notes that instead of the usual 30USD, QuickOffice pro is now on special offer for 15USD. Cheers to Glenn for the heads up. « No sound from Nokia N8’s speakers?